Instead of launching HTC flagship device, the company chose to introduce a higher version of its flagship which is HTC One M9+ in a grand event in New Delhi today at Rs 52,500. The One M9+ is available to go on sale in India from May 3, but this isn’t disclosed by the HTC management. HTC One M9+ sports a 5.2-inch Quad-HD (1440×2560 pixels) display which runs on Android 5.0.2 Lollipop OS with HTC Sense 7 UI on top. HTC has incorporated the fingerprint sensors button on the home that will also support biometric authentication for the AliPay payment system in China. The HTC One M9+ leverages HTC’s all-metal design including a 13.20 cm (5.2”) 2K display with a new Fingerprint authentication along with HTC BoomSound™ with 2Dolby Audio™ surround sound for exhilarating multimedia experiences. 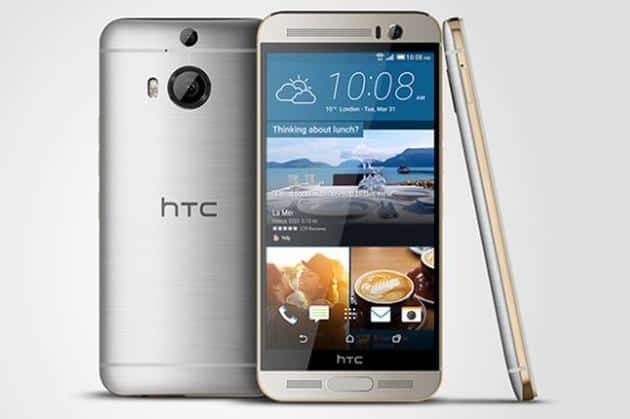 The HTC One M9+ is powered by 2.2GHz octa-core MediaTek MT6795T processor which is coupled with a 3GB of RAM. It provides an inbuilt storage 32GB on device, which is further expandable by a microSD support up to 2TB plus 100GB Google Drive included for 2 years. “We are thrilled to bring the luxuriously designed HTC One M9+ to our customers in India.” said Faisal Siddiqui, President, HTC South Asia and India. The One M9+ features an UltraPixel front camera and HTC’s duo rear camera setup just like the One (M8). The primary camera is a 20-megapixel shooter (f/2.2) along with a depth-sensing camera. On connectivity options on the device include 4G LTE, Wi-Fi, Infrared, DLNA, FM radio, Bluetooth, and NFC. The One M9+ is coupled by a 2840mAh non-removable battery as seen on One M9. On design part, HTC has provided a dual-tone silver and rose gold finish, with polished gold sides cascade effortlessly into a hairline brushed silver back, encasing a bright and vivid display. HTC One M9+ will come with one-year insurance package that will compensate consumers for any accidental or liquid damages. Applicable from the date of purchase, this package also includes a pick-up and drop service for all insurance related matters. To add on to this, users of the One M9+ can also avail the discount vouchers worth INR 15,000 from the reputed fashion and lifestyle portal Myntra.com. HTC one M9+ will be available in three colour options – Gunmetal grey, Amber Gold, and Silver Gold.